It unfolds like a Cinderella scene: a jumper whisked out of bed, dressed, and geared up by a menagerie of whimsical forest animals, while the perfectly good jump plane awaits just outside to whisk them off to the land of blue skies and freefall bliss. But just as quickly as that picturesque, albeit ridiculous, daydream unfolds, it can be snatched away by winds, clouds, and rain, and doom us to the sad mortal world of the ground. While that imagery may admittedly be a bit dramatic, it can certainly seem that devastating, and confusing, to both the seasoned skydiver and the first-time jumper. 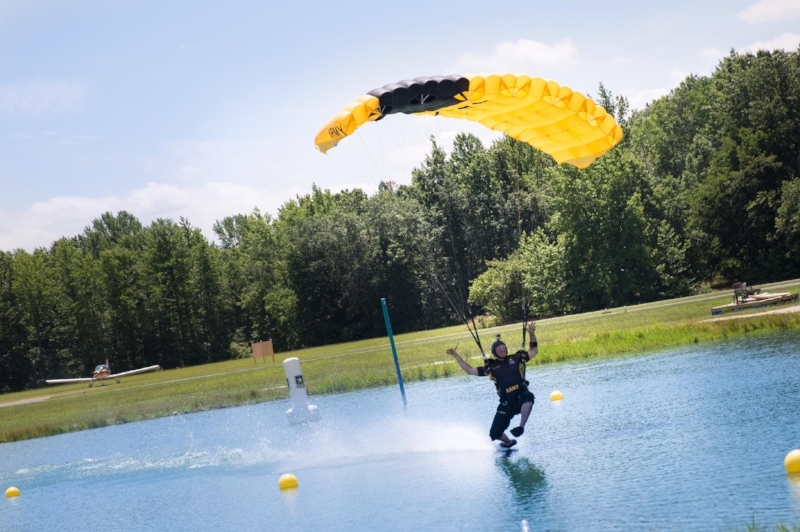 Rain is a no-brainer - it is actually not inherently unsafe to jump in light rain, but it definitely hurts to get hit by those raindrops while freefalling at 120 mph! Other conditions, however, are less obvious and can be more confusing. Wind can be a skydiver’s true Prince Charming - sweeping us off our proverbial feet, and leading us in a beautiful dance to the ground and into our hearts. We can use good winds to go farther distances, execute expert maneuvers and nail perfect landings. But that Prince Charming can sometimes turn out to be a real Hans*. Fast and unpredictable winds both on the ground and in the air can lead to off-landings, turbulence, and other unsafe landing conditions. *For those of you who have somehow been able to hide from all things Frozen for the last 5 years, Hans seems to be the perfect prince until three quarters into the movie, when he turns out to be a scheming evil villain. A Swooper uses the winds to his advantage to glide across the pond. In any fairy tale mist, fog and clouds usually symbolize an unknown, and mysterious danger - the same is true in skydiving. The Federal Aviation Administration (FAA), the strict but caring fairy godparent of the skydiving world, has very specific rules for cloud clearances and visibility - and for good reason. Say you're about to jump out of the plane but all you see is a thick layer of clouds. If you can't see the drop zone, how do you know you're above it? You could instead be above a secret opening to Hades underworld - talk about getting grounded! If you are in freefall and you unexpectedly fly through a cloud, you might not be able to avoid the Wicked Witch’s flying monkeys! And if you're under canopy and suddenly find yourself above thick clouds, you may accidentally swoop right into Jafar’s evil lair and into the jaws of the beast himself. Okay - as much as I don’t want to admit it - fairy tales and evil cartoon villains *probably* do not exist. But landing hazards and obstacles like power lines, buildings and trees definitely do! We avoid them as one would avoid Cruella De Ville. I mean really, what monster could do that to cute ol’ puppers? Our main point is, we need clear skies around us so we see where we are and where we’re going. Found the perfect hole in between the clouds! So we know what our weather dangers are, but how do we know when they will happen? The short answer is, we really don’t. Manifest, the front office of skydiving, does not, unfortunately, have a magical crystal ball. Making the weather call involves a lot of coordination with the pilot, instructors, various reports and on-site tools. How do you know what the weather will be on the day of your jump? Unfortunately, again - you don't. These conditions are pretty hard to predict, especially for one small area. The best forecasts are too often wrong, so our best advice is - don’t worry about it and let us make the call when it’s time. Weather often changes every hour, and chasing it will make you as crazy as Captain Hook chasing Peter Pan. 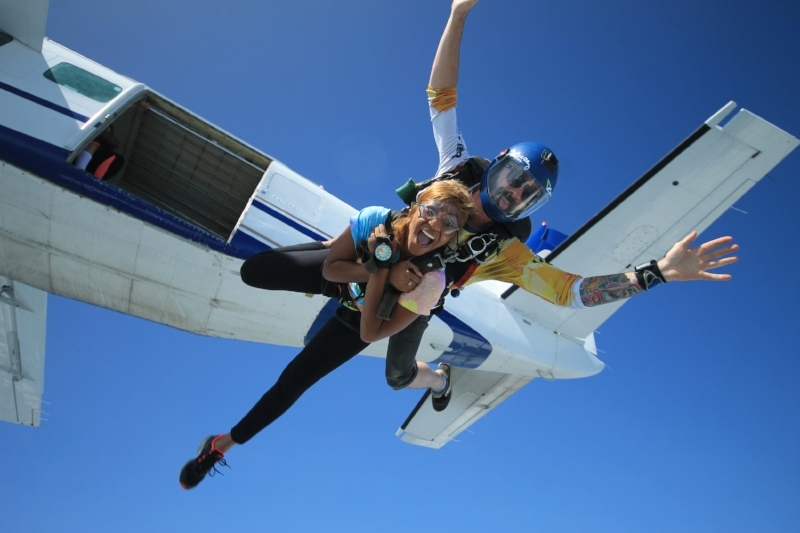 So pick a date, relax, and if you have any weather concerns - call us the day of your jump! Remember: if we get weathered out, you have two years to use your jump ticket*, so there is no need to rush. We will make sure your jump is safe, enjoyable and feels like an experience of a lifetime! *discounted jumps or promotional gift certificates may have an expiration date of 1 year. Make sure to check your gift certificate for the expiration date or ask us how long your credit is valid for!